We must understand the importance of our reverence to Christ. We come before a holy God. Jesus is not just a pal or friend or guide, He is our Savior and our Lord (2 Cor. 5:16; Rev. 2-3). A healthy church is all about who Christ is and what He has done. He is not just a Savior and/or best Friend; He gives us life, holds our lives, and will judge our lives. He is the One who overcame life and death for our benefit, and when we seek to run His church our way, we embarrass and dishonor Him and His Way. He has the keys in His hand, as the door to knowing Him and making Him known is only locked from our side. We have no need to fear our future when He is our Light, Guide, and Lord! This understanding of Who Christ is will help us truly worship Him, and be people who are humble and be a church that, lives a life worthy, that He can use. One of the central themes of humbleness is if we do not do it, God will. God asks us to “humble yourselves” for the essential reason that if we do not, He will, and when that happens, it may just be too late. If we do not start to reform our churches to be as they were designed and destined to be, then it will be too late. The doors will close just as has already happened in most parts of Europe. The church once flourished there, but apathy and disease took over and now her pews sit empty in the midst of a confused and decadent culture. We cannot just visualize what a healthy church can and should look like; we must act on it to make it happen. A healthy church is not just a question of believing in Christ, but being filled with the knowledge, of doing what He has called us to do with trust and obedience. A healthy church is not about our comfort or what we can experience, but about being people of faith and maturity, bearing fruit, and being what we can be for His glory. If you have spent any time at all observing churches, then you have seen what takes place. And, if you have spent any time in the Scriptures, then you know what Christ has called us to do. Many times, these two are in conflict. I have personally seen the results of what happens when we do, and when we do not follow our Lord, when we do not humble ourselves. So, the choice is up to us; we are given choices in life, options to follow. We can see for ourselves in the church that is worshipping the Lord, caring and loving one another, steeping itself in prayer, and reaching its neighborhood and world for Christ. Conversely, we can see the church that is full of strife and conflict. The church that has given up its call to be in Christ and substituted it with their own inclinations and agenda results in people leaving the church, bitter and disillusioned. Too many Christians have traded their election of grace for advertisements of hostility, thus they have forgotten the main thing. As a result, the disillusioned world has confused the strife of Christians for the care of the Lord, thus seeing an uncaring God by seeing His uncaring people and leaders. This stethoscope is used to hear heartbeats from your church devotion, teaching, fellowship, and breaking of bread, which means community and doing it all in love. 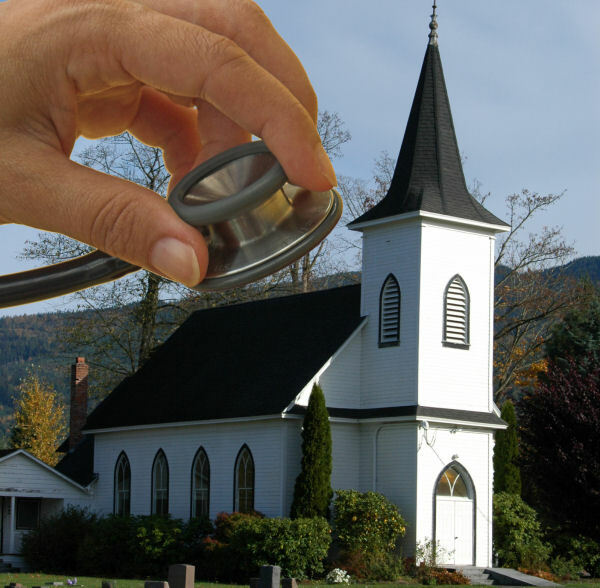 What does the stethoscope “hear” from your church? What is your church devoted to? What and where is your awe and wonderment? These will be the questions, and if answered honestly, will be the measuring rod to the health of your church. This passage in Acts gives us the purpose, vision, and call of the Church, both as a whole and individually. Not just a certain church down the street, but your church, and all churches together as one body. The healthy church looks like Acts 2! This means we look like we are devoted to Christ and His call, we are teaching effectively, we are in fellowship and community with one another, we are forgiving and honoring of one another, and doing all we do in love. We also look like people who are focused on prayer and our growth in Him. It is not just what we look like, it is because we are. And we do this, with glad and sincere hearts, praising God and enjoying the favor of all the people. The healthy church can be your church; perhaps it already is, or maybe it needs to be reformed. So, strive to catch that AWE, that passion and devotion to our Lord and the reason for our being! Most churches that are failing did not wake up one day and just decide, “Hey, let’s fail.” They did not start off with “me first” intentions, ignoring our Lord’s call. Here, too, was a process that went from the love and excitement of newlywed bliss to bitterness, criticism, patronizing, defensiveness, and withdrawal, and finally, the decision to end the relationship. How? By losing focus on Christ. By not being in the Word. By weak and irrelevant teaching with no Bible or application. By leaders who are not growing in the Lord. By tracing trends and not Christ as Lord. By accepting the ways of the world and not His Way? Are we His sheep? Do we hear His Voice? If so, do we respond and follow? God calls us to Himself and to love Him and one another with the love of God. God calls us out of our self-love pride that mutes our effectiveness and purpose and changes us so we are effective and purposeful for Him. So, we need to ask ourselves how is my love life? How is our love for our Lord and the response of love we are to have for one another? We are the sheep of the Lord, and He has given us endless love and care. He gives His sheep endless life and abounding fellowship with Him. He gives us His perfection and His protection, gathering us in to the fold of His wings, as a hen calls her chicks. Giving us the confidence and support for us to stay away from the dangers of the world, protecting us from Satan’s grasp while we engage the world for Christ. Christ perseveres in us, modeling to us how to persevere in our walk with Him and our call to one another. Our shepherd desires for us to be true and faithful because He is that way with us. This is our call to be true and faithful in our love, in our care, in our walk, and in our talk. 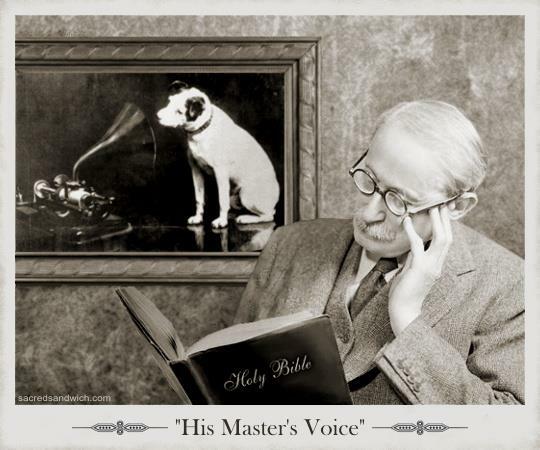 So, are we hearing the voice of God? Are we practicing the centrality and supremacy of Christ? Are we? If not, where is the call? What do we need to do to build His kingdom church? As Christ bore witness to the Father, so we are called to bear the care for one another and bring it back to Him. We cannot be as the so-called “expert of the law” and debate whom our neighbor is, thus excusing us from our responsibility. Nor, can we ignore the sheep in our care, ignoring our Lord’s call. Yet, so many churches do. Consider this: how we see others, whether it is a spouse, child, friend, boss, or stranger, will be the measure of how we see our Lord and how seriously we take our faith. What if we were measured by how we see others? What if this is how Christ sees us? Not a very pleasant prospect, is it? Fortunately, grace covers us¾His amazing and loving grace for which we could not venture to do anything to earn it, be acceptable, or receive anything eternal except damnation. We are to forsake our pride, arrogance, and selfish nature and receive our Lord with joy and eagerness so we can help build His church as He has called us to do! Remember, the doctrine of Scripture and the call of our Lord will cut “against the grain” of our pride and will. We are fallen, but He will lift us up, as our Lord is our shepherd, guiding us His way and showing us the way of the shepherd, the way of love and care. Too many Christians only see the church as a consumer entity, which becomes “what I can get out of it.” But, are we reciprocating that care or are we just catering to our clique and ourselves? We cannot expect others do be the “doers” while we sit comfortably in a pew. We cannot even expect a return on our investment (money given to the church) for personal gain of some sort. The consumer church will become the demise of the church before Satan even has a chance at it. We can utterly eliminate ourselves and achieve total annihilation without any external help from below. God calls us out of the “consumer” mentality and into His reality. Ask yourself if you only see the church as what it can do for you or what you can get out of it. We do need to be in a church that will take care of us. It is our attitude and determination that will set us apart to either be fully used by Christ, or sit in a pew for our selfish gain and receive our judgment later. I know I do not want that to be me; do you? • Churches that are healthy are in line with and in touch with Jesus Christ as Savior and LORD. The leaders and the people have an effectual sense of God’s presence and seek Him out of gratitude for who he is and what He has done. Their growing faith and their joyful attitude in life evidences this. • Unhealthy churches tend not to be interested or centered upon the Lordship and centrality of Christ. They are places of personality, leadership in control for personal agendas, and/or seeking trends contrary to the agenda or call of God’s Word. • Churches that are healthy have leadership that surrenders to the Lordship of Christ and builds their church on His foundation. • Unhealthy churches tend to have leadership that are prideful and build their church on the foundation of their legacy or personality.